Before a home buyer prospect sets foot in your sales center, she has probably researched your community on the web, checked consumer review sites for others’ opinions, read your latest e-newsletter on her mobile device, set up an appointment via email, and used GPS navigation to find you. Today, home buyers are technologically savvy, and now there’s a new technology that helps you connect with them, on their level. Focus 360, the award-winning architectural visualization firm, has recently unveiled Focus 360 NEXT™. This cloud-supported application moves all of a builder’s key community presentation data and assets onto a kiosk and iPad, making it simple, fast and effective for sales reps to demonstrate homes and options using the latest technology. Using a flat screen TV, laptop or iPad, sales agents and prospects are able to filter site plans by type and construction phase, then view dynamic, customizable floor plans that show exactly how their new home will look. Prospects can even take a virtual tour of the home, then share it with their social media contacts (great free advertising for you). A vicinity map shows where the community is in relation to landmarks, and calculates commute times from specific locations. The application even integrates right into your home builder CRM system, allowing new prospects to enter their information once, and enabling the sales rep to start building and nurturing the relationship immediately. Cloud-supported means that the application runs faster on each device, with no webpage load time, and no awkward moments while your customer waits. It also means updates to your site and floor plans are instantaneous, so your reps can be confident they are always giving current information. 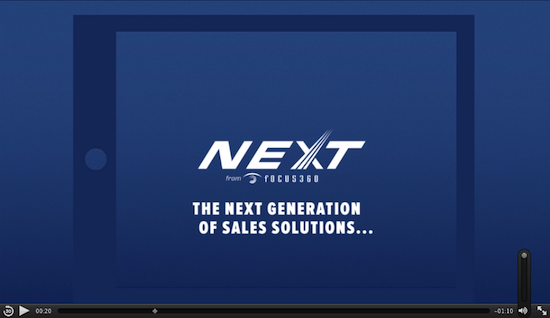 For more information about Focus 360 NEXT ™, watch the brief video below or visit www.focus360next.com.